You need as much information as possible on your opponents heading into the postseason. Let Assist do the dirty work to get you what you need. Game planning is never as important or rigorous as it is come playoff time. You spend hours upon hours dissecting video, looking for the tiniest crack in your opponent’s scheme to give you the edge you need to move onto the next round. Now imagine, for a moment, the ability to peer into your rival’s playbook, to peel back the outer layers of their scheme and get a detailed breakdown of their tendencies. 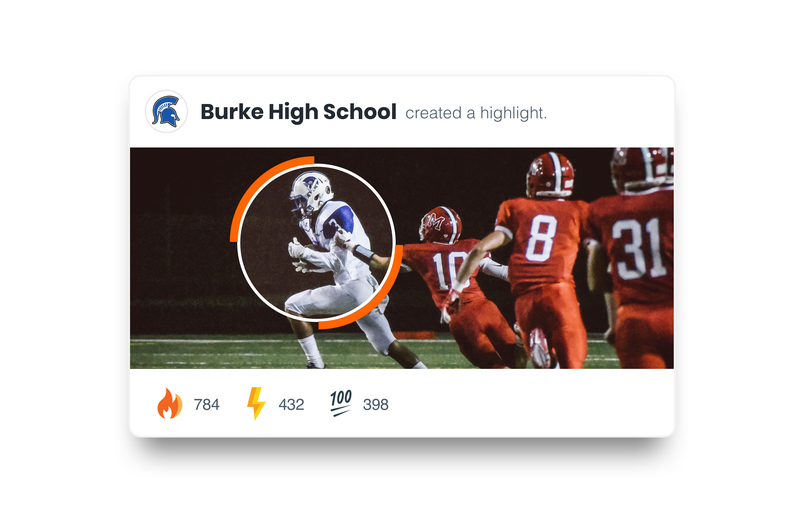 Hudl can’t literally steal your opponent’s playbook, but we have the next best thing. 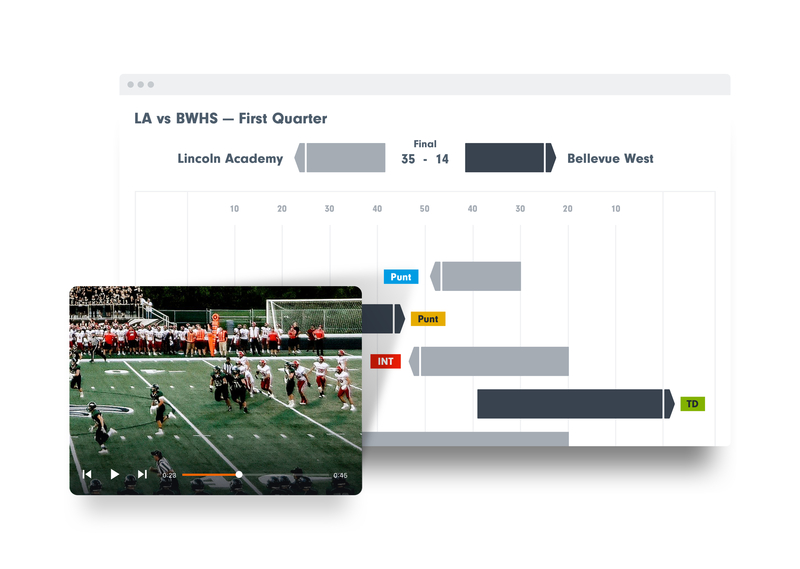 By submitting your opponent’s game to Hudl Assist, you’ll receive detailed breakdowns on your foe’s run/pass ratio, play direction tendencies, favorite play types and so much more. Even if you already faced the team once during the season, their offense may have evolved since then. Comparing games from both early and late in the season shows how their scheme has changed and could reveal potential curveballs they’ll throw this time around. With access to your opponent’s most important plays, you can build playlists that spotlight them and alert your team for things to look out for. Encourage your athletes to study these playlists and keep them accountable by following their usage under team management. Once game time arrives, your athletes will have a great idea of what they’re likely to see as they hit the field, giving you a leg up on the competition. The season is long and exhausting — it can be easy to forget or simply miss some trends on your own squad throughout the year. Get your mind right by reexamining your team’s tendencies, strengths and weaknesses to iron out any potential kinks for the postseason. Your opponents will be scouting you heavily, and Assist breakdowns will give you exactly what they see. If you run 85 percent of the time on third and short, the opposing coach will know that. A situation may come up where you can surprise him with a play action. Or maybe you realize you don’t blitz often on third down, typically playing it safe and trusting your coverage. This could be the perfect time to bring some extra pressure and rattle the opposing passer. A killer home field advantage can make the difference in a playoff game, so get your fan base pumped with a eye-popping hype video. Assist breakdowns make finding special plays throughout the season a breeze — one click is all that separates you from the exact moments you seek. This makes it incredibly easy to compile your team’s best plays and craft a hype video to get your fans rocking. Share it on social media and send it to local TV stations to ensure you get the exposure you need. Ultimately, what transpires in the playoffs will define your season. You would do anything to ensure your team is completely prepared and playing at its peak. Assist will help you maximize your postseason potential. See firsthand what Assist can do for you. Now is the perfect time to get in — with our end-of-season pricing, breakdowns are just $20 each.